where the Middle Ages become Contemporary Art. The Donjon of Vez, an important landmark of the history of the Valois region, land of the kings of France. A monument which became a saga, with characters such as king Philippe-Auguste, Joan of Arc or Alexandre Dumas. A thousand years of art and architecture: from stone sculpted in the Middle Ages to the daring alloy of contemporary art. Stone, wood and holograms enable you to travel through centuries in just one hour of guided visit. 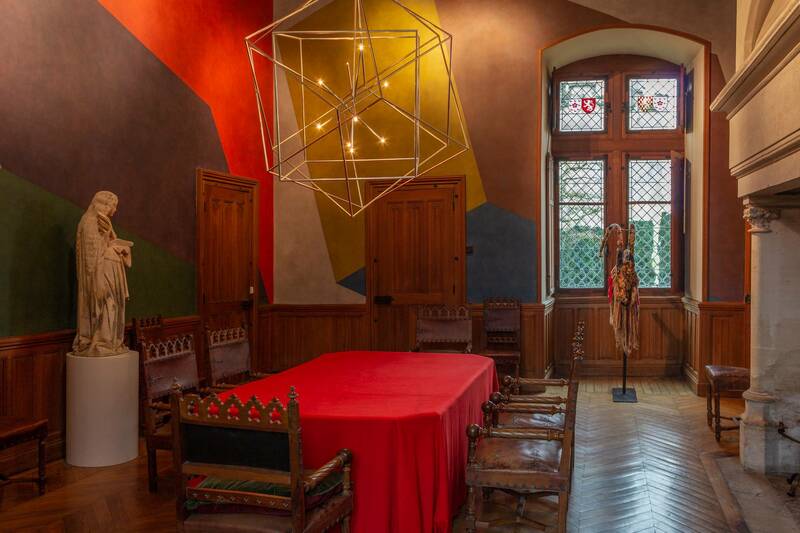 In the tradition of the architectural and ornamental programs of castles, Francis Briest brings together the greatest artists to adorn the rooms of the Donjon: Jacques Garcia for the library, Sol LeWitt for the frescoes in the dining room, Daniel Buren for the glass roofs of the chapel. . 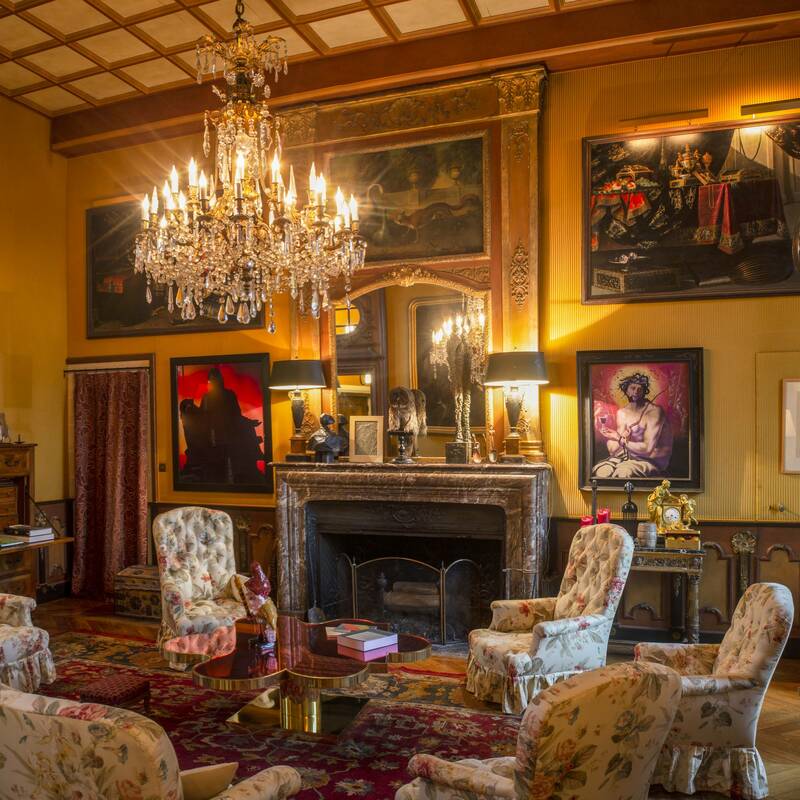 The courtyards and gardens were handed over to the care of Pascal Cribier and Jean-Pierre Raynaud. These contemporary designers and their patron are continuing the work of their predecessors. Among Fremiet’s recumbent statues, or beneath the framework designed by Gustave Eiffel, they are following in Louis of Orléans’ footsteps, making Vez not a site collecting works of Art, but a site which became a work of art. The chosen direction for the valorisation of the creations of Bourdelle, Picasso, César, does not reflect a will to make styles and eras coexist, but the enlightened desire to set the location in a History of Arts momentum. 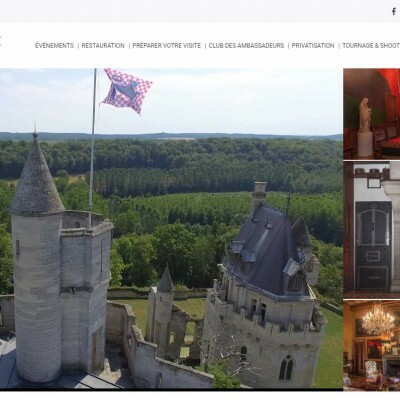 One hour and a half from Paris, and only 30 minutes for Charles de Gaulle Airport, it is located between the Imperial Palace in Compiègne, the castle of Pierrefonds, the beautiful towns of Crépy-en-Valois and Chantilly.